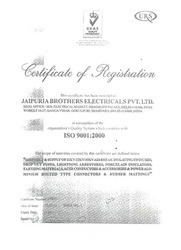 Established in the year 1984 at New Delhi, we, an ISO 9001: 2008 certified Jaipuria Brothers Electrical Private Limited, are one of the leading exporters and manufactures,Suppliers of finest quality Electrical Equipments and Earthing Materials. Polymeric Surge Arresters, Silicon Polymeric Insulators and Porcelain Insulators are our effective product range. By using cutting-edge machinery, our professionals engineered these electrical products and earthing materials in adherence to the industry set norms and regulations. Due to our their low electrical conductivity, robust design, compact design, easy installation, unique hydrophobic property and no maintenance, these insulators are widely used for industrial insulation applications. It is due to our large production capacity that we have been able to offer these products in bulk quantities. In addition to this, these electrical products and earthing materials are available at economical prices. It is due to our state-of-the-art infrastructural facility that we have been able to successful meet the diverse requirements of our customers in the most organized manner. Spread over a wide area of New Delhi, our infrastructure is carefully segregated into several divisions to ensure streamlined and smooth operations. To effectively handle various units of our infrastructure, we have appointed a team of skilled machine operators and other supporting staff that are trained at standard intervals of time to enhance their technical skills. 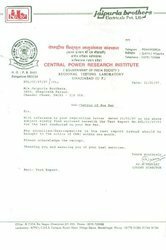 Established by our mentor, Mr. Rajendra Kumar Jain, we have attained a remarkable position in this domain in such short period of time. Due to his outstanding management skills and ability to successfully implement various innovative business ideas, we have catered huge clientele across the globe. Manufacturing and Trading of finest quality Electrical Equipment and Earthing Materials. Polymeric Surge Arresters, Silicon Polymeric Insulators and Porcelain Insulators. "In our chosen business, we will retain market leadership in India and ensure to be globally competitive through customer orientation and excellence in quality, innovation & technology." We, Jaipuria Brothers Electrical Private Limited, have gained the trust of our prestigious customers owing to the various ethical business practices and customer centric approaches that are strictly followed in our firm since its origin. It is due to the ability to meet the bulk orders that we have been able to cater the precise requirements of our valuable customers in the most organized manner. Being a quality conscious and certified organization, the quality of the electrical equipment and earthing materials is maintained all the times through rigorous quality assurance checks conducted by our team of quality controllers. We have been able to deliver these industrial electrical equipment and earthing materials at the customers’ end within the promised time frame owing to our excellent transportation facility and well-connected distribution network. Our team of skilled professionals stands by our customers, ensuring that they are provided with the optimum quality electrical equipment and earthing materials. With the unique expertise and vast knowledge of this domain, our professionals successful cater the diverse requirements of our customers in the most organized manner. Trained at regular intervals of time, our employees work hand in hand with each others in order to avoid any kind of hassles in the workplace. Our team of professionals consists of machine operators, technicians, production managers, warehousing experts, sales & marketing executives, engineers, packaging processionals, quality controllers, logistics professionals and other supporting staff. Technical know-how for the supply of equipment. 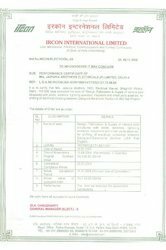 Expertise in co-ordinating the activities with consultant, clients, government authorities and other allied agencies for smooth supplies in the projects. Experience of executing several prestigious supplies in public and private sector industries of high repute. Capability and competence to execute high value turn-key projects. Capability to undertake challenging supplies with very short notice on emergency basis. Our major objective is to satisfy our clients with outstanding performance and timely deliveries. Our endeavors have kept us on track to achieve our turn-over target of Rs.20 crores by the end of 2006. Our future plans include proposal to set up 132 KV isolator at Jaipur & Srinagar, with a view to meet our own projects requirement and also commercial purposes. Besides, we always encourage the utilization of new technologies and methods to enhance our services.